Business and office partitions don’t have to be unattractive fixtures that drag down your building’s décor. Glass partitions from ABC Glass and Mirror offer an appealing alternative to less stylish dividers and screens. 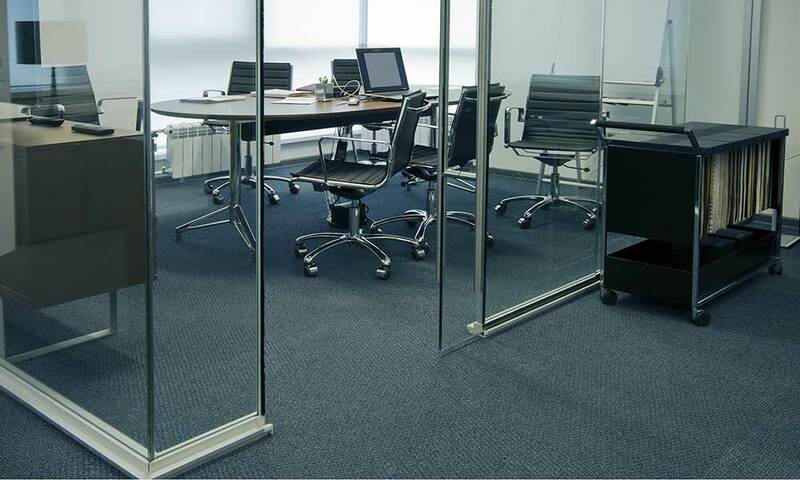 You can work with our team to design custom partitions that meet your office’s practical need for divided space while improving its ambiance and overall atmosphere. Discover all the possibilities by scheduling a free consultation at your business location. One of our glass experts will visit you to discuss glass partition options, show you samples, and address any questions you may have. Call the ABC shop today at 703-257-7150! Contact us today to learn more and discover what glass partitions can offer your business or office building. Back-Painted – Available in stock colors or any custom color you want. We also offer partitions made of clear or opaque colored Plexiglas. This durable acrylic product is a wise choice for partitions in high-activity spaces such as daycares, preschools, and fitness centers. With clear Plexiglas, you can achieve a glass-like appearance with an appealing boost in safety and durability, while opaque colored Plexiglas offers you creative options for adding privacy to different areas of a room. Glass partitions can be frameless for a simple look with fresh, modern vibes. Frameless glass brings contemporary elegance to any business and is one of the most visually appealing ways to divide office space. Our frameless partitions can be secured to existing walls or installed from floor to ceiling to function as walls in their own right. Choose from our many options in framing, glass style, and dimensions to create the perfect glass partitions for your office or other business. Give us a call today – 703-257-7150!